When you are looking for a new home, go with an experienced agent. I have nearly 20 years of experience in the real estate industry in the Dallas/Fort Worth area, specifically the Collin and Denton County areas which includes Plano & Frisco. I'll negotiate hard for you to get you the best value for your money and the home of your dreams! John was a fantastic realtor and really helped me out throughout the transaction. I highly recommend John to anyone. On top of that, John is honest so I was able to get advises finding the right one. Thank you so much! It was a pleasure working with you! We were moving from Oregon and hadn't purchased a house in 20 yrs, so we needed all the information and often more than once. Debbie was so helpful from months ahead to the closing that it felt easy. We only had one week to find a family house that fit a wide range of needs and wishes at a modest price. She was responsive, flexible and really fun to work with. We love our new home! Thank you, Debbie! John was EXCELLENT! After having two other realtors (who were actually not that bad) try to help us, we decided to look at a house with John since he happened to be available. He impressed us so much that we decided to keep him as our realtor! He was really flexible and tried to work with our schedule. He kept us in the loop at all times and was extra detailed. We felt as though he always negotiated on our behalf and did not hesitate to make any negotiations we wanted. I would recommend John any day! Thanks again John! We now have our "dream" home! Debbie was wonderful! No pressure and really cared that we found the perfect house for our family! We were able to walk through any house we were interested in with little to no advanced notice, and she understood what we wanted and brought a few nice options to us that we didn’t pick out of all the listings we were bombarded with by websites and emails. Incredibly knowledgeable not just on houses, but theoughout the entire process and even after we closed. She really felt more like a family memeber who had our best intentions in mind and not just someone wanting to make a sale. This was very important to us as this was our first home purchase. I can’t recommend her enough and will be telling any and everyone I know to enlist her services when on the hunt. Do yourself a favor and let her help you find the perfect fit for your situation!!! Thank you Been & Chrissie! It was fun helping you find your first home! I needed to find a home very quickly and Debbie helped me achieve this goal and find my dream home at the same time! She was very efficient, friendly, professional and found me multiple homes to look at right away that met my price point, location and other needs. Debbie was always quick to respond to my calls, emails and texts and could adapt well to any new criteria that I realized I needed. I would highly recommend her to anyone that was interested in finding a new home and I'm confident that if I ever need to buy another home Debbie will be my first and only call! Thank you Abbey! I loved helping you find your new, forever home. John is one of the best realtor that I have ever worked with. I met him a year ago and since then he kept following up and help me with all the options was available. He is very patient hard working man. I've known Debbie since high school. We have kept in touch over the years and when I decided to put my house on the market, she is the 1st person I thought of. Even though I'm in Fort Worth, Debbie took the time and a lot of effort to walk me through step by step - from putting that sign in the front yard to the closing! She answered my many questions, calmed my fears and reassured me each step of the way! Selling my house with Debbie at my side was smooth and painless. I would recommend both she and her husband to help you with this big life step, either buying or selling! Debbie has helped me with a real estate sales transaction (residential housing) and would definitely be my choice for a realtor again. She anticipated all my needs through the experiences before I did which made the whole process so much easier. I’m looking forward to working with Debbie and John as a team. Thank you so much! We look forward to working with you again too. In our 25 years of marriage, we have moved, (bought and sold) nine times, and frankly, our overall experience with realtors has been very negative. What a wonderful relief that we chose John Jeffery to represent us, when we began to look for a home in the Plano, Texas area. We had spoken to a variety of different realtors, and viewed a variety of homes, then we found John Jeffrey. When making such a large financial decision, and having learned from so many past mistakes, and been screwed so many ways, we knew that we could only to work with someone that we could trust, and we quickly learned that John was honest, straight forward and, (lol, trustworthy, loyal, helpful, friendly, courteous, kind, obedient, cheerful, thrifty, brave, clean, and reverent; I bet he was a boy scout in another life). If we asked John for some information on the house that he didn’t know, he always got us quick answers, and if the answer turned out to be, no so good news, John gave it to us anyway. We appreciated and respected that a lot! Throughout the past several months, John has been there every step of the way. He has always answered every call or email no matter what time of day or night it was. His professionalism, his understanding, his mentorship, knowledge, honesty, and hard work ethic are much respected and appreciated. John respected our time, but he also was available at inconvenient hours to make sure we got the best information as soon as possible. He also adjusted his schedule so that he could get contractors into the house for work estimates, and he had a great relationship with reliable, excellent painters, flooring and other contractors that he could recommend. I never felt that he was just trying to sell us a house, but that he was a mentor to answer our questions and help us to make the best decision for our family. John was very instrumental in helping us to secure a fair and honest inspection, and he was very knowledgeable about the seriousness of the various defects that were identified and what it would take to fix them. We really believe that John Jeffrey helped us negotiate the best deal with the sellers and their realtor, and we know that he pushed for the best outcome as our representative. We now consider John a very good friend and would highly recommend him to anyone, (no, more accurately said, he is the only one we would consider to recommend) that is searching for a new home. Thanks again to John Jeffrey and the Debbie and John Jeffrey Real Estate Team for being such an enjoyable pleasure to work with. Debbie helped my fiancee and I buy our first home. She did so much work and would even text and return my calls very late at night when I had questions. She was also so honest and bargained so much on our behalf. It felt like she was excited with us and not just trying to sell a home. Definitely would recommend her to new home buyers or experienced home buyers who need someone like Debbie who has the knowledge and experience! I had a great time helping you both buy your first home! Thanks so much for making it fun! So glad you are happy. John has helped me a lot during my house searching. His expertise and experience regarding Real Estate market in DFW area is so useful and his kindness and dedication to client's need is very impressive. I will definitely recommend John to my friends if they need to purchase a home here. John was very easy to work with as he listened carefully to me as his client. He was knowledgeable of the market while sensitive to my preferences. No question was regarded as being insignificant or dismissed in the process... He tirelessly showed as many properties as I desired. Debbie was Amazing to work with! Very good at her job and really cared about getting me into my home :) She was always available to go and look at new listings as soon as we saw them and wanted to go look. She also found me houses that she thought would work for me. She made the very stressful process much easier. When there were problems getting requested repairs completed on time she was willing to see what else we could do to meet my closing needs. I would definitely recommend Debbie and her team to everyone. Stephanie, it was fun helping you! Look forward to helping you and your family again in the future. 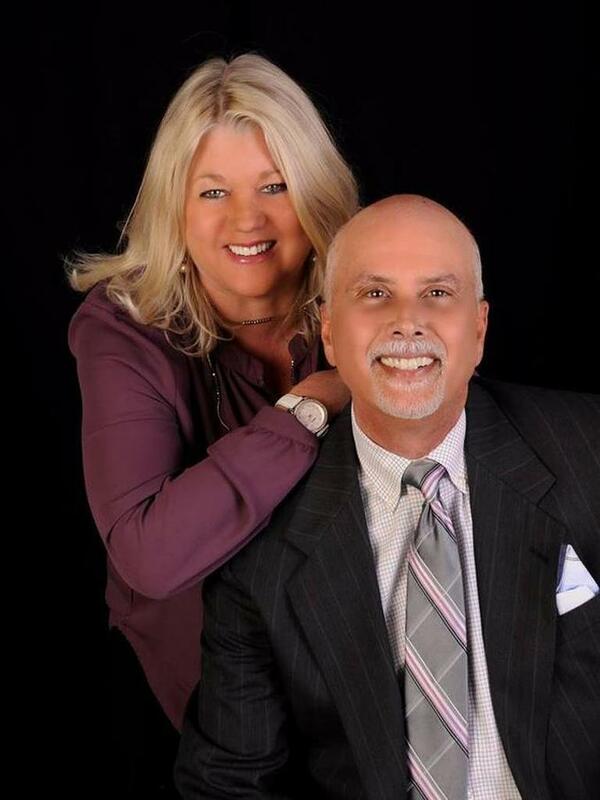 We have used John and Debbie Jeffrey for multiple home sales/purchases and they have been on point each time. They are very helpful and professional and go above and beyond to make the process as easy as possible. Always love helping you both. Thanks again for your trust. John helped us find the home that we loved! My husband and I just bought our first home and were a tad overwhelmed with the entire process. We had interviewed several other Realtors and as soon as we met John we knew we found our Realtor. At no point did we feel pressured to do or sign anything. We had tons of question and John helped us through at every step from what we were wanting to closing day. Between my husband and I, we had a difficult schedule and John was available anytime we needed him including weekends and evening; as well as many 3 way phone calls between all three of us. Our first home buying experience was a great and we will be going to John whenever we sell our new home and buy another. Thank you John! My husband and I met Debbie back in 2012 when we were looking to buy a home. In 2013, she helped us with the purchase of our initial home, which we just sold in January 2016. The initial purchase was a smart investment as she always provided great information regarding the market and how fast it would grow. Now she is helping us buy another home! She even helped us with getting a transitional apartment while waiting for our new home! She is amazing at communicating and negotiating. Also, she is a person who will go above and beyond in assisting you with the home of your dreams. My husband and I are very grateful to have met Debbie and we are going to be loyal customers. We do have a great friendship and Debbie is part of our family. I trust her and I recommend her at all times! I used Debbie as my realtor when we sold our home in Plano. She was very knowledgable about the market and tenacious in bringing buyers to see our property. It was a tough market at the time however her cheerfulness and hard work helped us sell our house for what we wanted. I would use Debbie again if we are selling or buying a home. She is pleasant and very easy to deal with. Thank you all for your trust and kindness! Our experience with Debbie Jeffrey was great. We were being transferred here from Kansas City so the process was extremely stressful. In one weekend, Debbie helped us find a lot, a builder, and get a contract started. She got us an unbelievable deal, including over $10,000 in upgrades on our house. Over the following year, she was there for us from start to finish and when our builder kept pushing back the closing date, she made sure we were rightfully compensated. She also helped us find an apartment that would rent to us month to month while our house was being finished. She has since checked in regularly to make sure we are happy with the purchase of our home. We are very grateful to have had the opportunity to work with Debbie. Thanks so much for the review. I hope I can help you and your friends in the future. Debbie helped me buy a house in 2011. I drug her all over grand prairie and Arlington. She was very professional and helpful. I would definitely recommend her service. Thanks Deb. I sure enjoyed helping you and your Mom! Glad you've been enjoying the coupons - next one is House of Pancakes. Debbie gave us advice to help sell our home quickly. She also worked with us to navigate the purchase of our current home. She negotiated on our behalf and we feel we are now in our forever home! It was such a pleasure getting to know you and your family. Thanks again for your trust. Very much appreciated. I highly recommend Debbie for all of your real estate needs. She has helped me with purchase and leasing decisions. She knows how to make these transactions run smoothly. Debbie was diligent in helping us to relocate to the Dallas area. She listened to our needs and with her knowledge of the area gave us the direction we needed. Her service was first class all the way. Very dependable. Thanks for using me! Are you ready to purchase? Debbie was very knowledgeable and made the whole process very painless. Debbie was very caring and very involved in the negotiation process. My family and I are so greatful we use the services of Debbie Jeffrey. Thank you so much!!! Thanks so much for your trust! Look forward to helping you and your friends/family in the future. Debbie Jeffrey did everything humanly possible to enable us to purchase our new home. We had a couple of unusual issues associated with our move and Debbie helped us work through all of them. She even held our hands when we began to get cold feet about the deal. We love our new home and would highly recommend her. Love seeing you guys! You are very special and I hope I can help you and friends/family in the future. We purchased and sold homes with Debbie. She is honest, professional and knowledgeable. We dealt with a challenging seller and because of her we were able to close the deal. She made what seemed impossible possible. I feel like I can go to Debbie with ANYTHING I need...or ANY questions I have. I moved across many states and she has been so kind and helpful on so many levels! She has even helped my family who also moved and kept us together! Thank you so much for the great review! I loved helping you and your family!